Feasting for the Chinese New Year has not officially ended. Remember there are 15 days to it. 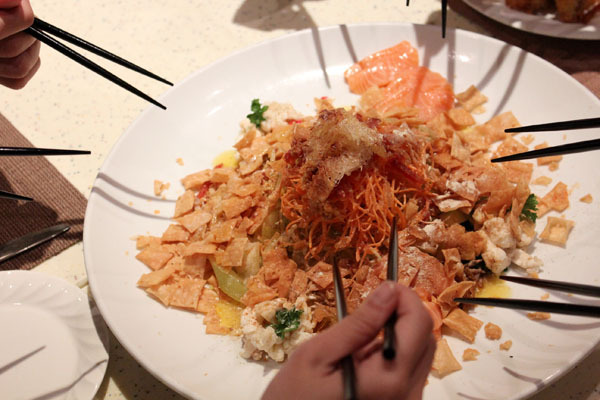 Somewhat traditionally, another important day is the 7th day known as the ‘Ren Ri’ (the common man’s birthday) when ‘yu sheng’ is eaten for continued wealth and abundance in this part of the world. 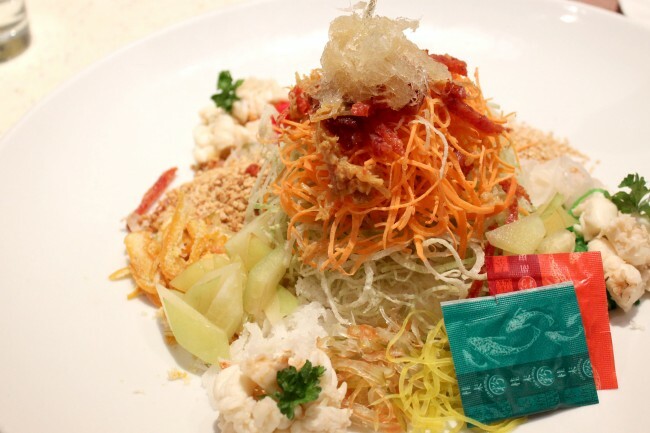 Plaza Brasserie has a Three Kingdom Yu Sheng which contains the three popular CNY ingredients of Abalone, Sea Cucumber and Sharksfin (though I think we can really leave the fins out since it doesn’t add to the taste). This version does not have the conventional items, and instead includes lobster, salmon, silver fish, chicken floss, chinese sasuages, enoki mushrooms, and crispy fish skin. This really sounds like a gathering of the best of the best lo-hei. The XO sauce created by Chef Jackson has a fruit-ish sweet tinge that really enhances the vegetables, with my friend saying this was the best he eaten in the whole season. My take is – any vegetable that is fresh usually taste good. What really ‘wowed’ me are the buffet stations with more Cantonese-Chinese offerings such as poached ‘live’ drunken prawns with Chinese Wine, Eight Treasures Soup, Durian Nian Gao with Bak Kwa (!) 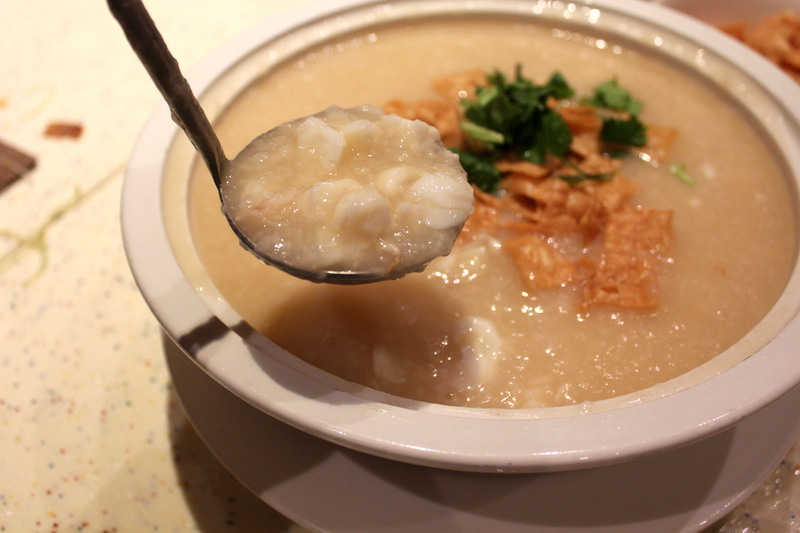 and the Lobster Congee with Fish Maw Soup and Shredded Abalone which has such generous servings that you do not have to ‘dig’ further for the lobster meal. 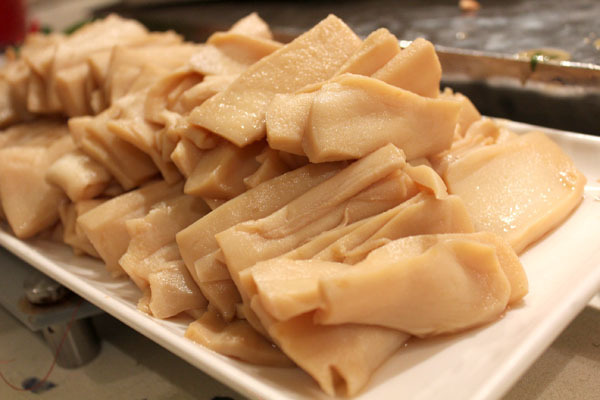 I could not help but to consume the chunks of abalone slices. ‘Chunk’s the word. And there are thick, juicy and un-rubbery. 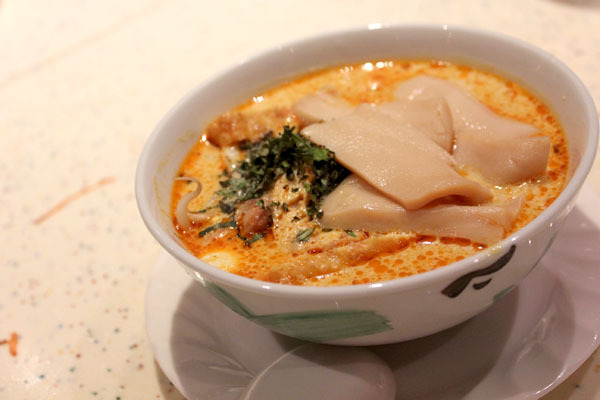 And here’s a DanielFoodDiary suggestion: Go to the Chef’s live stations for their signature local laksa, and add a few slices of abalone on top of the fishcake. 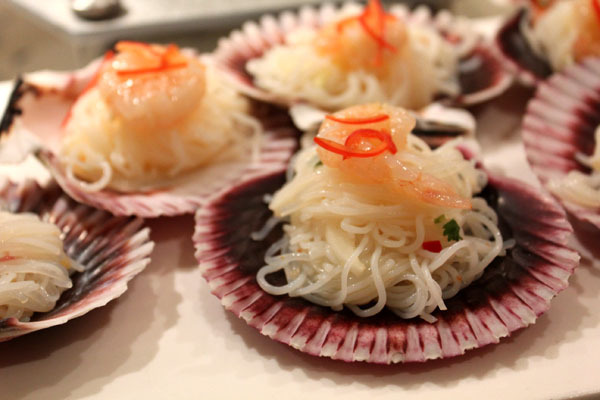 I assure you, Abalone laska is that one dish you will never forget this Dragon CNY.